Recently Sue Scheff was featured on Momtourage (iVillage) answering tough questions about raising today’s teens. “A parent asked about invading their teen’s privacy, such as reading their emails, text messages or journals,” Scheff continues, “It is a matter of when safety trumps privacy. Problem Teens? Are you at your Wit’s End? In 2001 Sue Scheff created Parents’ Universal Resource Experts, Inc. (P.U.R.E.) in an effort to help educate parents when they have reached their wit’s end with their teenager. This year P.U.R.E. is celebrating over a decade of assisting over 50,000 families. During these ten years, Sue Scheff has been interviewed by many media outlets including ABC News, 20/20, Lifetime Balancing Act, The Rachael Ray Show, Fox News, CNN, Headline News, InSession, Wall Street Journal, Miami Herald, Forbes, USA Today, Sun-Sentinel and many others. Scheff knows personally the turmoil mother’s experience when their household is being disrupted by bad teen behavior. Out of desperation she turned to teen specialty schools and behavior modification programs for her own daughter but that only worsened the situation. Although her story is painful and the trials and tribulations’ seemed endless, Sue Scheff believes that there are excellent residential treatment centers and recognizes she made a huge mistake when she was at her wit’s end which is why she agreed to have her story published in an effort to help others. With today’s ever expanding digital world, many parents hit the Internet looking for help for their troubled teenager only to be bombarded with slick websites and slicker sales reps trying to get your business. Scheff realized over ten years ago when she had her own struggles, that the Internet isn’t always what is seems to be. Sue Scheff continues her story about the Internet and how it can be an educational tool or a lethal weapon, depending who is using it, in Google Bomb, The Untold Story of the $11.3 Verdict That Changed the Way We Use the Internet, also authored by Sue Scheff and Internet Expert and Attorney, John Dozier Jr., and published by HCI in 2009. If you are searching for residential therapy for your troubled teen, visit www.HelpYourTeens.com for more information. To learn more about Sue Scheff, please visit www.SueScheff.com. Self-esteem, confidence, feeling good about yourself etc… All of these are very important to helping your teen make good decisions for their future. You have been saving for your teen’s college tuition for more than a decade. You have kept him on track in his studies. You have ferried him to countless soccer meets and football games. You may feel like you’re doing everything you can to ensure that your children have bright and promising futures, but you still may have overlooked a crucial element: their self-esteem. Self-esteem is not something that should be pushed aside. In fact, a healthy sense of self-esteem is much more crucial to your teen’s future than you may initially think. Self-esteem is a measure of someone’s confidence in his or her capabilities as well as his or her sense of identity. It allows people to determine what they can and cannot do. Those with higher levels of self-esteem tend to feel more confident about their capabilities and therefore are more willing to take on challenges and try new things. They also are more likely to be independent and motivated, which is good for teenagers because it will allow them to better tackle the rigors of academics and college life. Those with lower levels of self-esteem, however, are likely to be nervous, uncertain, dependent, and unmotivated. This is because they lack a sense of security in their capabilities, and therefore are more unwilling to do anything where failure is a possibility. Alarmingly, research cited by the Counseling and Mental Health Center of the University of Texas indicates that low levels of self-esteem can also increase a teen’s likelihood of becoming involved in drug use. For young women, unplanned pregnancies are more prevalent for those with low levels of self-esteem. Low self-esteem also can lead to the development of depression or anxiety. Unfortunately, teenagers naturally have lower levels of self-esteem because they are going through numerous life changes and facing many new and uncertain things. For example, the onset of puberty, having to navigate high school politics, and moving away to tackle college are all uncertainties that can cause many teens to feel unsure about who they really are and who they will become. The overall result of all these changes is a shaken self-esteem. It is important for parents to guide their teens through this confusing period so that they may regain the self-esteem they need to get through it all unscathed. You can do this by encouraging your teen to take care of himself. Good physical health can do wonders for mental health and self-esteem, so when your teen seems to be feeling bad about himself, go for a brisk walk with him. This will help him to get his muscles moving and perk his spirit up, according to the U.S. Substance Abuse and Mental Health Services Administration. You can also strive to praise him whenever he does something commendable, such as having a good soccer meet or receiving a good grade in class. The praise does not have to be over-the-top gushing each time. In fact, a simple, “Good job!” can improve a teen’s self-esteem dramatically. All in all, parents can ensure that their teens have a healthy level of self-esteem by offering them support, love, and respect. This way, teens can develop a good sense of who they are and what they can do, leading to the bright and promising future you always wanted for them. Lauren Bailey, a freelancer who blogs about online colleges, contributed this guest post. She can be reached via email at: blauren99@gmail.com. Have you thought about the concept of completing 4 years of college in 3 years and the benefits of it? We often hear about kids taking 5 years to complete 4 years, but what about reversing that? 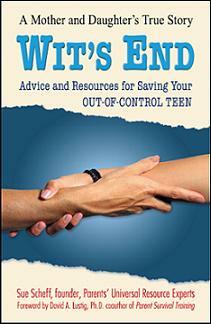 This guest Blog gives you 10 reasons why and how this could be exactly what your teen needs. Four-year college graduates are becoming increasingly less common, so graduating early is quite the achievement. During a time in life when many of your peers are still uncertain about what they want to do and how they want to go about doing it, you can set yourself apart by skipping that whole emerging adulthood stage and entering the real world. If you’re a driven student who isn’t afraid of growing up, then consider the following reasons to graduate in three years. Save Money: As you well know, the cost of tuition is continually rising, making it increasingly difficult for average middle class families to afford four or more years of tuition and fees. According to the College Board, even after financial aid, in-state students at public colleges pay an average of $7,605 per year, while students at private colleges pay an average of $27,293 per year. Graduating in three years either saves your parents a lot of money or prevents you from going further into debt. In fact, because of those reasons, some colleges have designed special three-year degree programs that efficiently utilize students’ time by requiring 18 hours per semester and commitments during summer and winter breaks. Make Money: Eating Ramen Noodles and fast food, drinking cheap beer, staying with five people in a hotel room during trips, and everything else that comes with the college experience may be fun in the beginning, but after a while it begins to take its toll, leaving you wondering what life would be like if you didn’t have to live dollar to dollar. The full salary that comes with your first job after college will enable you to live more comfortably and enjoy those many, many things you couldn’t previously afford. Additionally, you’ll get a head start on repaying your student loans and eliminating debt so that you’ll be able to do more financially later in life. Gain Work Experience: By the time most of your friends graduate, you’ll more likely than not have already received at least one raise and possibly even a promotion. The same work ethic it took to get your degree in three years will pay off during your career, literally, and starting early will allow you to achieve more at a young age. Nothing substitutes for real work experience. Become Independent: People in their 20s these days aren’t nearly as financially independent as the group was decades ago when fewer people attended college. The economy hasn’t helped matters, but it’s certainly not impossible to find a decent job and break the dependence on mom and dad. Graduating early gives you a head start, enabling you to no longer have to answer to your meddling parents. Plus, the self-satisfaction that comes with knowing that you’re doing it completely on your own is invaluable. Save Early for Retirement: The earlier you begin your career and establish yourself, the earlier you’ll be able to save for retirement. The recent economic crisis has shown that retirement is far from a guarantee, and it takes foresight and financial discipline to ensure your golden years won’t be spent as a Wal-Mart greeter. If your employer offers you a 401k plan, use it and add as much money as you can. Or contribute to a Roth individual retirement account. Retirement will become more of a reality, and you may even be able to retire early depending on how much you put into it. Escape Your Lousy School: Is your school failing to meet your expectations early in your college career? Are your professors uninspired and aloof? Have you been screwed over by the financial aid or bursar’s office? Does your personality not quite mesh with the campus culture? Graduating early can be your ticket out of your lousy school and an end to a lackluster college experience. Hey, college isn’t guaranteed to be the time of your life despite what popular culture has told you. No More Schoolwork: There’s no doubt that graduating in three years is an arduous task. It requires taking no fewer than 15 hours per semester and the sacrifice of off-time, like summer and winter break, in order to accumulate the 120 or so hours you’ll need for your degree. That means you’ll be studying and stressing over exams and projects year-round, while many of your friends will be living it up on their five-year plans. When you graduate, however, you’ll have two years to point and laugh at them as they continue to deal with the general inconveniences of college, and you’ll be able to take satisfaction in the fact that you won’t have to worry about that stuff again. Jump Early into Grad School: On the other hand, if you plan to seek an advanced degree, you’ll be able to jump right into grad school without losing much time. This can be enticing if you enjoy academia, as grad school is more of an intellectual challenge. You’ll be expected to exhibit more in-depth and applied knowledge, and thus your class experiences will be more engaging and enlightening. You’ll also encounter research opportunities, which will enable you to leave your own mark on your discipline. Of course, by the time you finish, many of your friends will be completing only their first degree, reinforcing that you’re ahead of the game. And if you plan to get a PhD, you’ll spend one fewer year on your quest to attain it. Time: You’ll have more time in general. Not only for the aforementioned reasons, but also for other things in life, such as getting married and starting a family — if you want to get a head start on that. You could travel or join organizations like the Peace Corps. You could explore alternative professions that may not require a college degree but interest you anyway. You could help out with the family business before jumping into your career. What you do with the extra year or two is up to you. It’s a Challenge: Like Joe Brown said, “A challenge is an opportunity to prove your ability to yourself, and others.” College is where you should build the work ethic and confidence needed to explore those limitless possibilities in life. Students who graduate in three years have high expectations of themselves, and realize that such an accomplishment will set them up for many more accomplishments in the future. Bullying people into silence won't work! My daughter was harmed at Carolina Springs Academy. I won a court battle in 2004 proving my allegations against World Wide Association of Specialty Programs (WWASPS – the umbrella that Carolina Springs Academy fell under) and what they did to my daughter and the deception I endured. It has been brought to my attention that Carolina Springs Academy lost their license and re-opened with a new name in 2009 – “Magnolia Christian School“. As they closed again in June of 2010, rumors lingered about whether they were housing teens at the owners home. Now we are hearing they are re-opening again in early 2011 and their target is me! (Don’t I feel special). Why are they so afraid of my story – they sued me to get it down, they lost – then started a smear campaign online – and I won again – this time over $11M jury verdict for damages they did to me. This time Magnolia Christian School will be classified as a Christian boarding school, making it exempt from state licensing and staffing rules. Now why don’t they want to be regulated by the state? Is this in the best interest of your child? It is my own opinion that if you are considering this “school” for your family, you may want to do your homework and also read my story. I understand not much has changed except the name. Although my story was in 2000, sadly I still receive calls and emails from parents and former students that have claimed abuse and fraud today. Sunset Bay Academy, Oceanside, CA – rumors of short term program there. **There is reason to believe a program in Mexico is now open – parents need to be aware of this. It is believed they may have re-opened Casa By the Sea location with another name – possibly Discovery. We have heard that Jade Robinson is running this program – he was formerly at Horizon Academy, Bell Academy (closed) and Casa by the Sea (closed). In addition to the legal battle with WWASP, P.U.R.E. and founder Sue Scheff won an unprecedented $11.3 million jury verdict for Internet defamation and Invasion of Privacy. Despite being vindicated, many of the attacks on P.U.R.E. continue out of malice and spite. Full Disclosure: The sales reps will discredit me as a disgruntled parent. When someone harms your child and dupes you, you tend to become disgruntled. However I have proven my allegations in court – and sadly continue to receive emails and calls from victims of this organization (2010). It is being told to me that Magnolia Christian School is going full steam ahead to start a smear campaign on me – again. Bringing up only the sides of the legal end they want you to hear – not the whole story that won both my cases. If you are seeking help for your teen – just do your own research, where there is smoke – fire is about to burn. Take your time – and don’t wait until you reach your wit’s end! Is your teen ready for college? How much preparation is your teen doing to get ready for college? Besides dreaming about a new freedom, are they taking the education seriously? The coursework can be different and very challenging to some. Keeping your teen motivated in a positive direction is important. As high school seniors all over the country work to complete their college applications, a troubling new study called the 2010 Deloitte Education Survey reveals that slightly less than one-third of high school educators feel their students are prepared for college when they leave high school. In fact, findings support that a third of college students are taking remedial courses in college. Twins Lauren and Stefanie are college freshman. Both of them say their high school wasn’t all that demanding. That leaves many experts wondering … are high school kids prepared for college? According to the Deloitte 2010 Education Survey, more than one-third of college freshman need remedial courses to catch up. And a staggering 92 percent of teachers surveyed say they don’t have the data to help them measure how their students are doing in college – to make adjustments to their coursework. Experts say, the way to get ready for college is for high school kids to take the toughest courses they can. Stefanie and Lauren say they were encouraged to take those higher-level courses, and it’s paying off. Both are doing well in their first semester in college as they head into final exams. Schools nationwide are urged to strengthen the high school core curriculum to help improve students’ readiness for college and the workforce. Students in K-8 who are not learning the foundational skills for rigorous high school coursework should be identified earlier and provided with supportive interventions, thus preparing them for higher-level math and science courses such as trigonometry, pre-calculus, chemistry and physics. A new study by ACT, Inc. reveals that racial and income gaps in college success rates can be narrowed by ensuring that all students take a rigorous core curriculum in high school. The report, entitled “Mind the Gaps: How College Readiness Narrows Achievement Gaps in College Success,” calls for college and career readiness standards that are aligned among K-12, postsecondary education, and workforce training programs. It also suggests that student readiness for college and career should be monitored early and often. English for four years. Types of classes include American Literature, Composition, English Literature and World Literature. Mathematics: Three to four years. Types of classes include Algebra I, Algebra II, Calculus, Geometry, Precalculus, Trigonometry. History and Geography for two to three years. Types of classes include Civics, Geography, U.S. History, U.S. Government, World History, World Cultures. Laboratory Science for two to four years. Types of classes include Biology, Chemistry, Earth Science, Physics. Foreign Language for two to four years. Visual and Performing Arts for at least one year. Types of classes include Art, Dance, Drama or Music. Challenging Electives for one to three years. Types of classes can include Communications, Computer Science, Economics, Psychology, Statistics. What basic academic courses do you recommend for students who want to go to college? How many years of each academic subject does the high school require for graduation? What elective courses do you recommend for college-bound students? Can students who are considering college get special help or tutoring? What activities can students do at home and over the summers to strengthen their preparation for college? How much homework is expected of students preparing for college? What do different colleges require in terms of high school grades and SAT or ACT scores? What do you wish you had known at 13 years old? As the Dove Movement for Self-Esteem unfolds, there is a powerful question that is being passed around and one that most people have a variety of answers for. Whether you are 18 or 58 or even 78, the answers contain lessons from experience. My father really was smart but at 13 I knew it all. Enjoy being young/don’t wish to be older yet. That the abuse I was suffering had nothing to do with how bad I was but how bad the perpetrator was. These are only a few of the fantastic responses the Dove Movement has received. For those in South Florida, one of the issues that is often heard, is about using sun-screen more generously. In your teen years many are more concerned about their tan (self-image) than the damage the sun is doing to your skin. In later years, as the skin starts to wrinkle, it can be a lesson we wish we had known (or listened to our parents). The Dove Movement for Self-Esteem is being sponsored by the Boys and Girls Club, Girls Inc. and Girls Scouts, Dove is marching out a campaign to help teen girls have a brighter future and step into their own skin by believing in themselves.